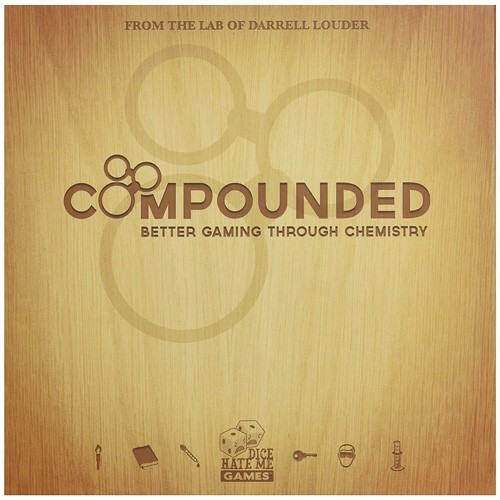 Compounded is a game about building chemical compounds through careful management of elements, a fair bit of social play and trading, and just a bit of luck. Players take on the roles of lab managers, hastily competing to complete the most compounds before they are completed by others -- or destroyed in an explosion. Each card shows a compound you can complete if you get the right elements...or, invest some of your time in building a fire extinguisher for those inevitable mistakes! 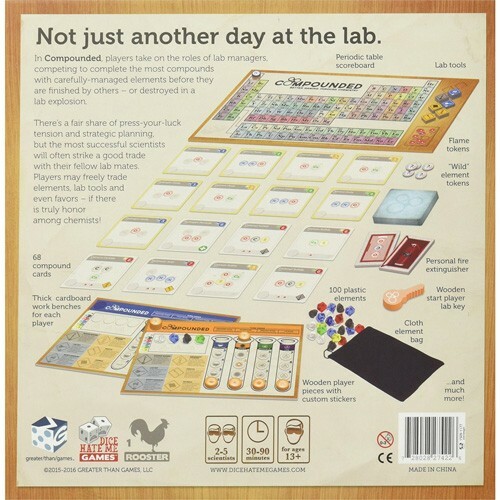 It's the perfect social game for budding chemists. This game for 2 to 5 players has a 30 to 90 minute play time. Two additional expansions, Compounded: Chemical Chaos and Compounded: Geiger Expansion, are also available.